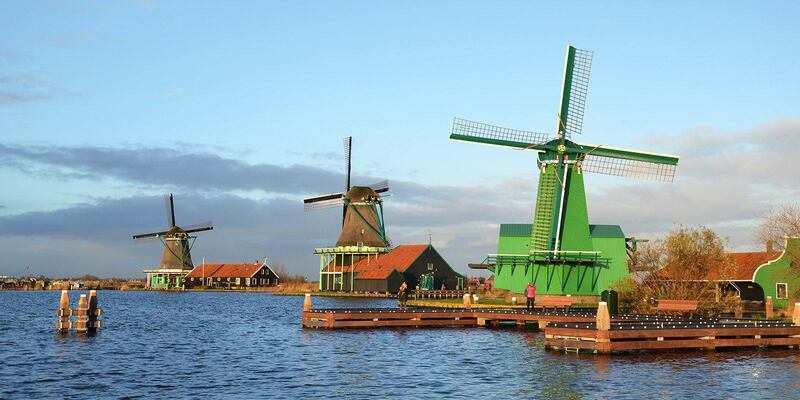 Visit the beautiful windmill village Zaanse Schans. Here you will experience all that is typical Dutch in just a few hours. 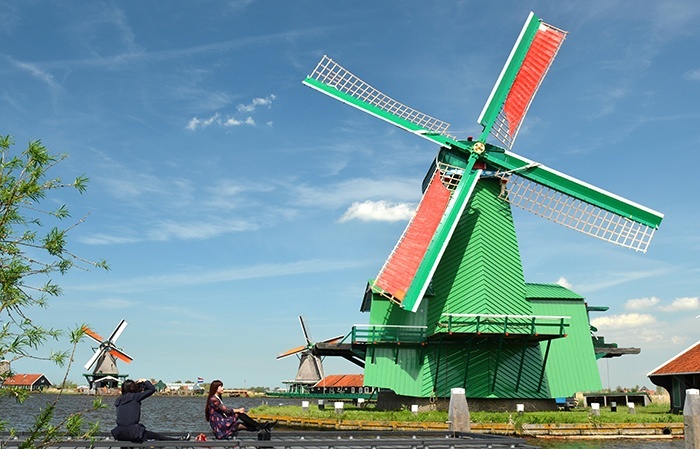 From the central meetingpoint, close to central station a short 20 minute busride will take you to the windmill village Zaanse Schans. Here you will experience all that is typical Dutch in just a few hours. You will learn about the process of cheese making, you can walk on wooden shoes, see the interior of a working windmill and see the wooden green-painted houses and shops.A professional, experienced and friendly guide will accompany you throughout the village before you get time to further explore the village on your own. Begin your tour at our central meeting point. A comfortable, air-conditioned single deck bus will take you to today’s destination in just 20/30minutes. The windmill village Zaanse Schans is an open air museum that houses a collection of working windmills, wooden houses, barn sand shops dating back to the 18th and 19thCentury. All these buildings were brought here from 1961 onwards bringing back to life this most prosperous period of the Zaan region. 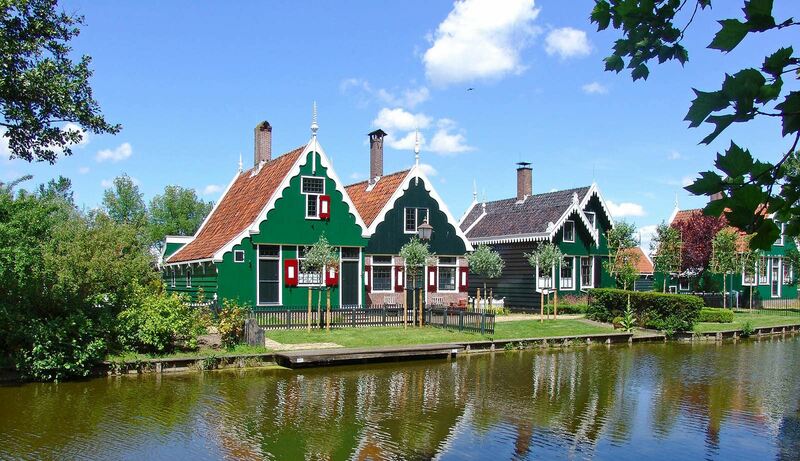 The prosperity in the 18th and 19th century can be seen in the Zaanse Schans windmill villagein several ways. Alongside windmills, barns and other buildings, you will see beautiful houses that were originally built as home to rich windmill owners and merchants. These houses have attractive facades and have been painted in traditional colors such as green, beige and light blue. 2. From May 20th: – THIS IS HOLLAND – Overhoeksplein 51, opposite central station. How to get here: A free shuttle ferry to Buiksloterweg runs 24/7 from Amsterdam Central Station to the north shore of the river IJ. Journey time is three minutes). Embark via the two middle pontoons. On disembarking, turn left. It’s two minutes’ walk to THIS IS HOLLAND. Meeting Point Till May 20th: - A’DAM tower/Lookout, Overhoeksplein 5. From May 20th: - THIS IS HOLLAND, Overhoeksplein 51.